Hello everyone and welcome to another episode of Wildwood in 360! Last month we introduced a new feature that brings you different locations around Wildwood filmed with a 360 camera. On our last video we asked you for suggestions on where to film. You can watch our last video below. 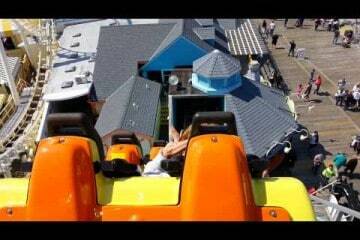 One of the suggestions was to film the Wildwood Boardwalk. Even though the Wildwood is mostly closed for the season now we went ahead and filmed us walking from Morey’s Surfside pier to Mariners Landing. In the video below you are able to see in all directions. The best way to view this video is with a VR goggle. If you don’t have one no worries. Just hold your phone up horizontally and move it up, down, left and right! If you’re on your computer use your curser to drag up, down, left and right! If you enjoy this video please let us know so that we can do more. Also please subscribe to our YouTube channel and hit that notification bell so when we upload new video you will find out right away! 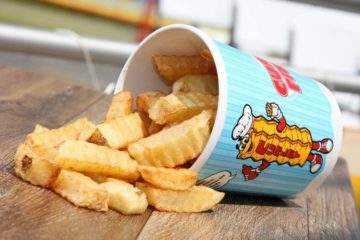 See How Curley’s Fries Are Made!